This book describes how to contribute to the Eclipse Open Source project. This book starts with an introduction into the structure of the Eclipse Open Source project and continues with a short introduction into Eclipse plug-in development and the handling of the Git functionality within the Eclipse IDE. After this introduction it describes how to contribute source code to the Eclipse Open Source project using the Eclipse platform project as example. 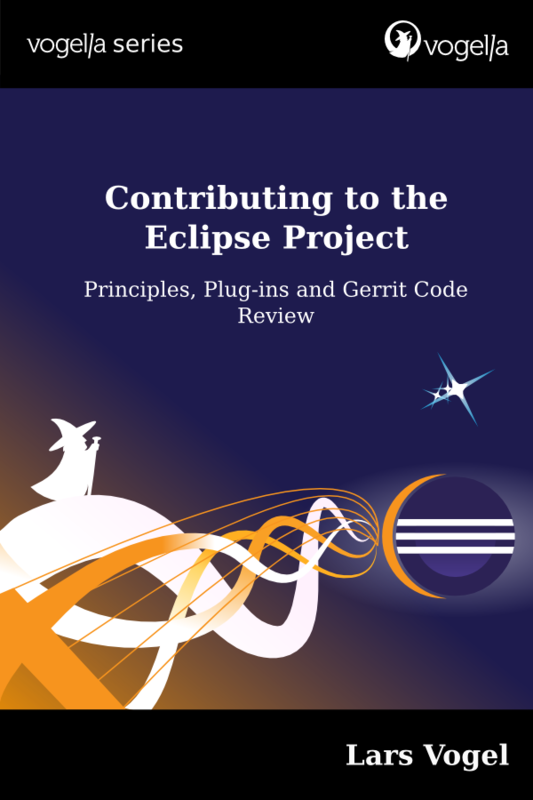 In this main part the usage and configuration of the Eclipse Gerrit code review system is explained. This includes how to run the platform unit tests. Afterwards tools to analyze the Eclipse code base are presented	and it is explained how to build the Eclipse IDE itself. The last chapters contain short information and interviews with Eclipse project leaders about how to contribute to other Eclipse projects like CDT, Tycho, the PHP IDE and Eclipse based projects like ADT and PyDev. The current ebook version is an “Early access version”. I want to add for interviews with Eclipse project leaders and do some minor tweaks to the content. Purchases of this early access version will get an update via Amazon once I release the final version (also a paper book) in 6-8 weeks. Many thanks goes to my awesome reviewer team, Thanh Ha, Wim Jongman, Hendrik Still, Sopot Çela and Steven Spungin. This entry was posted in Eclipse, Lars Vogel, Other and tagged Eclipse, Eclipse IDE. Bookmark the permalink.